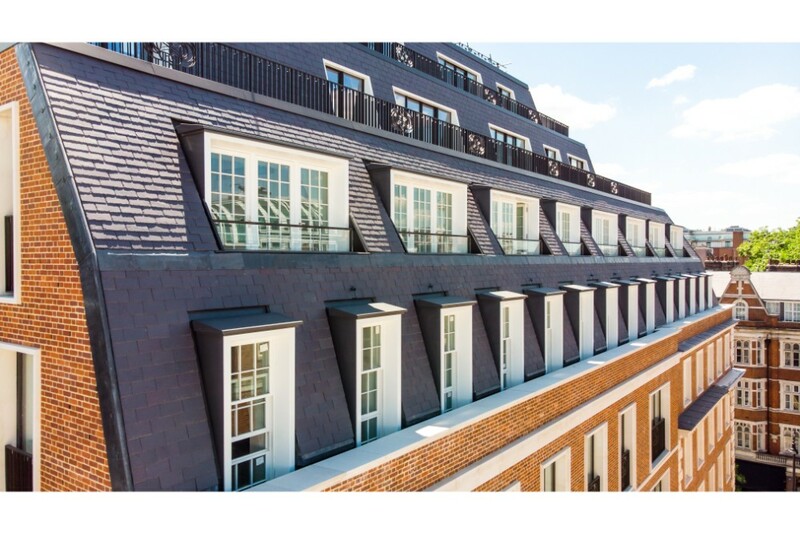 Twenty Grosvenor square is a luxury residential development situated in Mayfair. The existing building has been transformed in to 37 private residences. 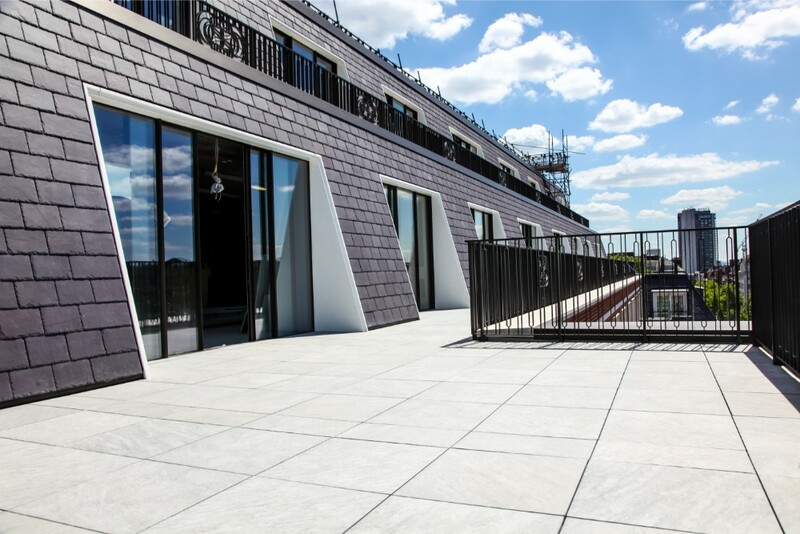 Two storeys have been added to the building which is where three luxury penthouses sit. 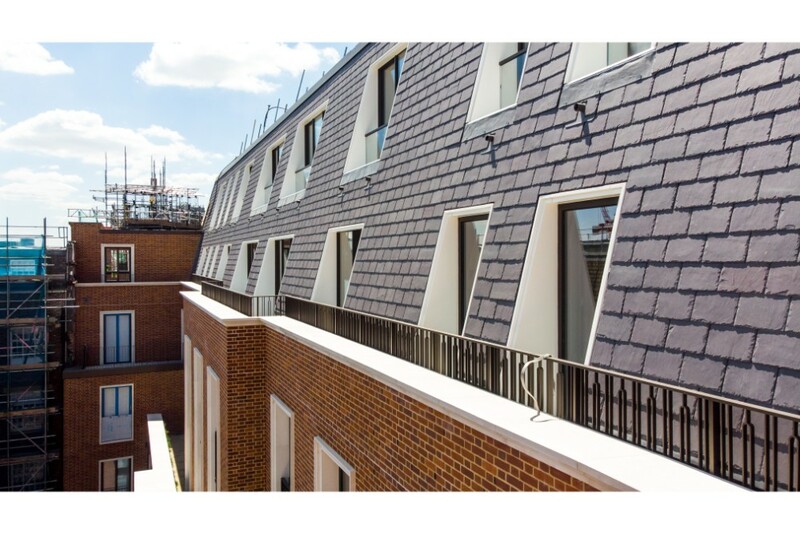 Slating to the mansard roof, design, fabrication and installation of 57 CDP dormers. 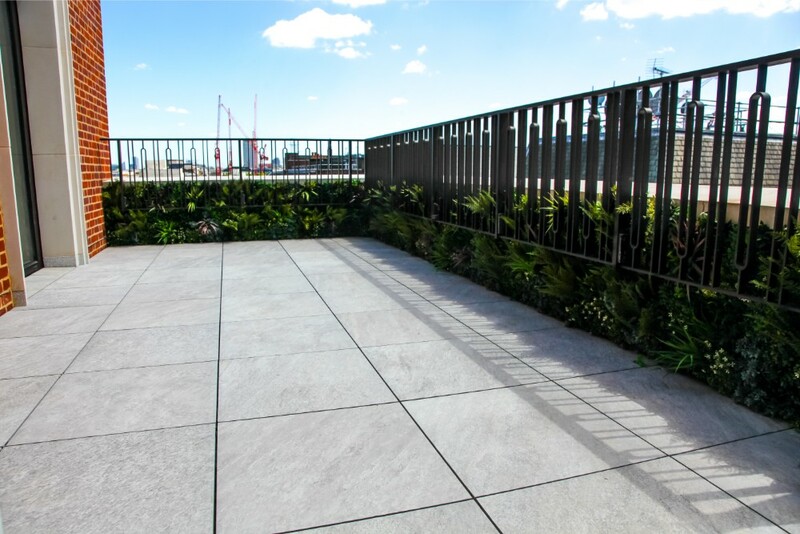 Richardson Roofing also undertook all the flat roofing, extensive stone paving and green walls to each terrace level. Installation of mansafe system for upper floor access together with davit base fixing points for maintenance.